When most people think of concrete, they only envision the finished product. Whether it’s used for a sidewalk, a highway, or even a tall building, not many know what the concrete was like before hardening to its present state. Self-consolidating concrete has unique properties which allows it to be used like never before, and since its invention in the 1980’s, it has revolutionised the construction industry. A very noticeable feature of self-consolidating concrete (SCC), is how easily it flows. In general, concrete needs to spread to every part of the form that’s used to shape it. With conventional concrete, this is done with vibration equipment or even manually by the workers directly. SCC is designed to spread to completely fill form work with no extra manipulation by man or machine. Another feature that sets it apart from conventional concrete is its tendency not to segregate. When concrete segregates, the cement separates from the aggregate. This leads to weaker concrete that may honeycomb where it meets the formwork, both of which can lead to rework and higher construction costs. Water can be added to conventional concrete to improve flow and workability, but that weakens it and leads to segregation. SCC eliminates that risk because it relies on additives that improve flow without using water. This is accomplished with no reduction in durability or strength. Another name for SCC is self-compacting concrete. As the two names imply, it can be poured and placed with little to no vibration or additional manipulation. It will consolidate and occupy all the area within the formwork using only its own weight. 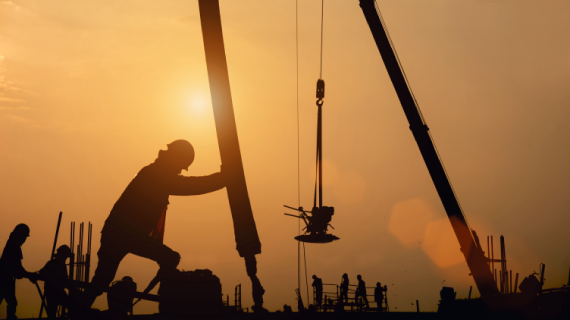 Without the need for vibration equipment, safety is improved. This equipment needs to be moved around the job site and placed on top of the forms. Removing the need for vibration reduces the risk of accidents and reduces noise on the job site that can affect surrounding areas also. In addition to the practical advantages of dealing with placement and structural integrity, SCC produces an exceptionally smooth finished surface. When placed horizontally in a slab it is nearly self-leveling. For vertical applications such as walls, it produces a near mirror-like surface, mimicking the formwork used. These properties also make it an excellent choice for decorative work and innovative architectural features with little to no additional surface work required. This versatility allows for an impressive number of applications using few if any concrete consolidation tools. This invention has revolutionised construction costs as well. 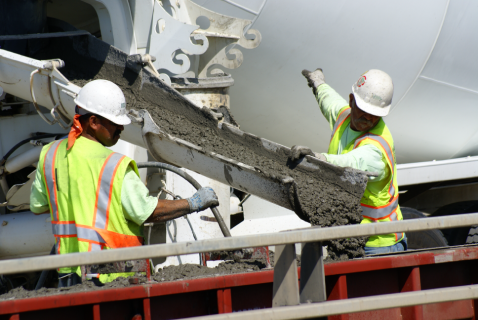 Placement times are reduced since the concrete can spread throughout the form work more quickly, improving truck turnaround times. A great deal of time is saved by removing the vibration step which also reduces the overall placement time. These advantages can lead to a significant reduction in labour and equipment costs.